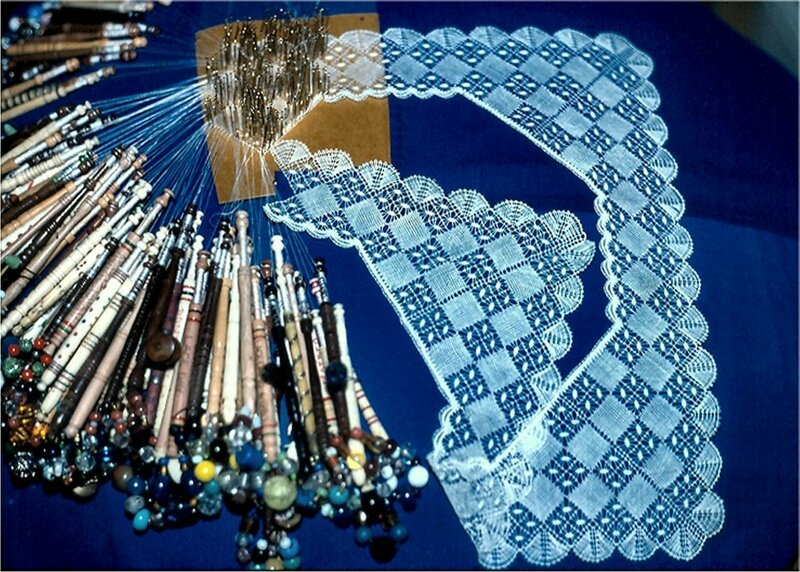 The origins of the Midlands Lace Association. Georgina Roberts, wife of John Llewelyn Roberts, vicar of Spratton from 1862 - 1891, was an extremely accomplished lace maker. She was the prime mover in the formation of this Association, and had also almost certainly taught Catherine Channer who then taught lace making in Spratton and other villages (getting to them by bicycle) from 1890. Later, on her return from India in 1909, her lace school was at 26 High Street, Spratton (see 0207). 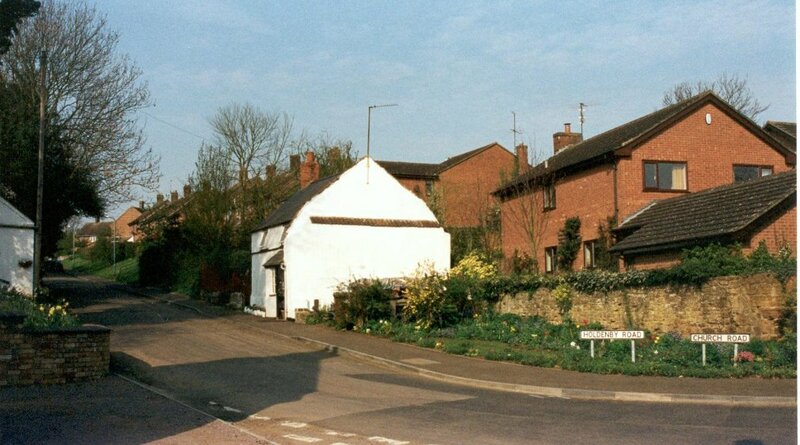 2002 - Junction of Holdenby Road and Church Road, showing 1 Holdenby Road, a white surviving cob cottage of indeterminate date. 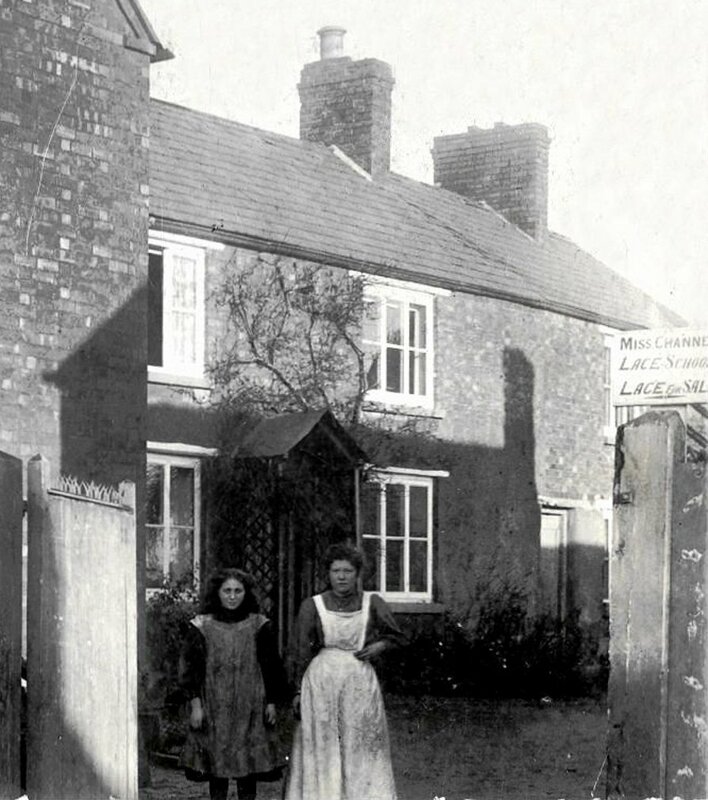 Miss Catherine Channer's servants outside her Lace School (now 26 High Street) in Spratton, where she taught Valenciennes lace. She had probably learnt her lace skills from Georgina Roberts, wife of John Llewelyn Roberts, vicar of Spratton from 1862 - 1891, who was herself an extremely accomplished lace maker. 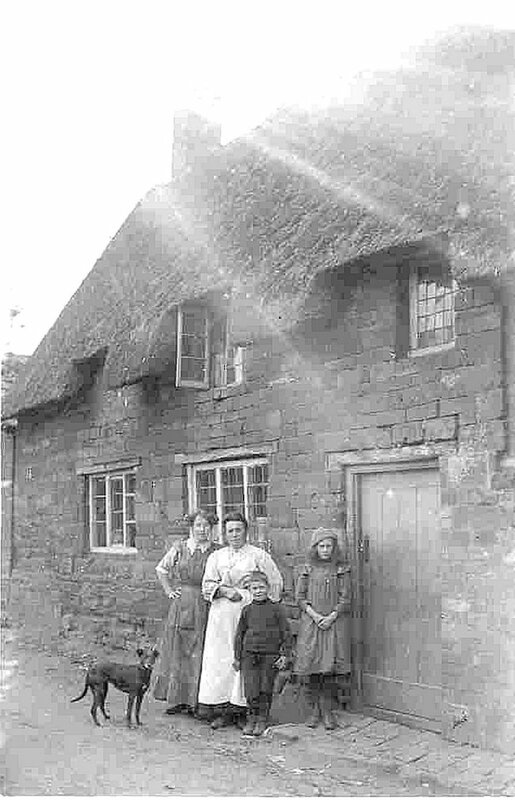 Catherine Channer was teaching lace making in Spratton and other villages (getting to them by bicycle) by 1890. 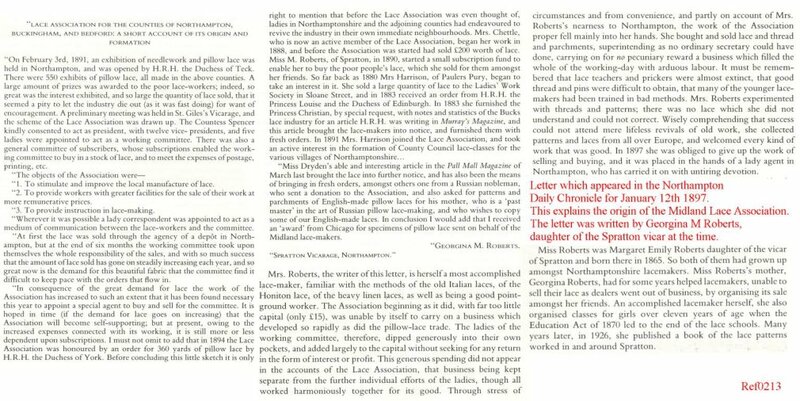 Just before going to India (1899 - 1909), Catherine Channer and Margaret Roberts (Georgina's daughter, who married Henry Chubb, curate of Spratton in 1894) wrote 'Lace-making in the Midlands', which details much of the lace activity in and around Spratton, and the decline of the industry. On her return, she taught lace in the High Street premises between 1910 and 1912 before moving to the Midland Lace Association's headquarters in Northampton. 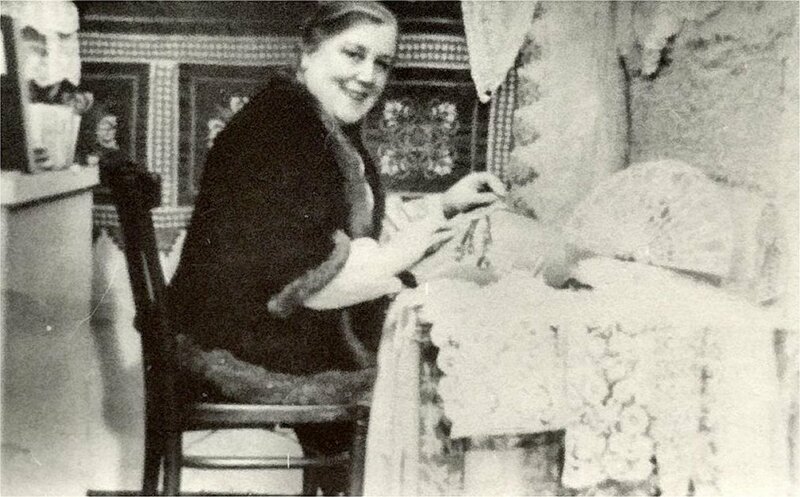 In 1914 she set up her own lace business and school at 10a St. Giles Square. This continued until 1930 when she moved to Bedford and taught at the Technical Institute - she died in 1949. She was an expert in many varieties of lace-making - Valenciennes, Brussels, Italian, and the old Bucks and Honiton styles. 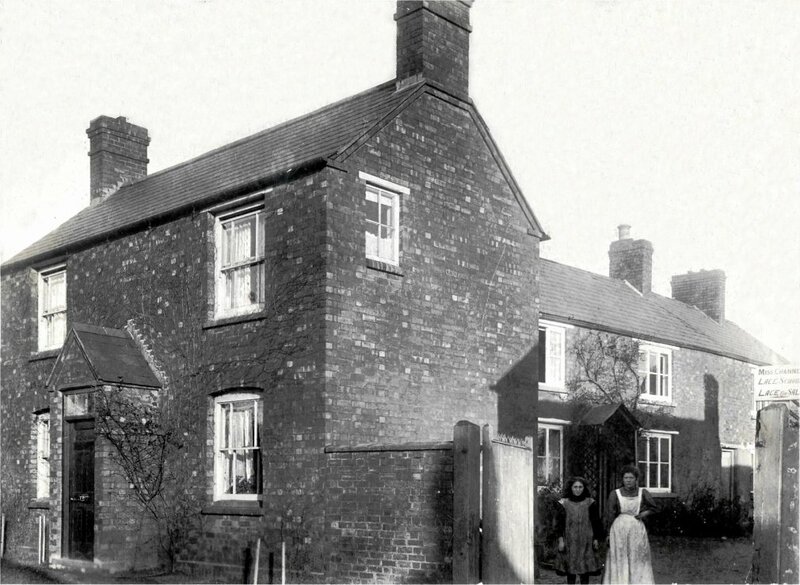 The house on the left, 28 High Street, is believed to have been built by the Cheney family in the late 19C, and here is seen in its brick construction before later being rendered. Miss Catherine Channer in her 8A George Row premises in Northampton. Lace handkerchief made by Joan Savage of Spratton as a gift to Princess Alice, Duchess of Gloucester, on the occasion of her 80th birthday. 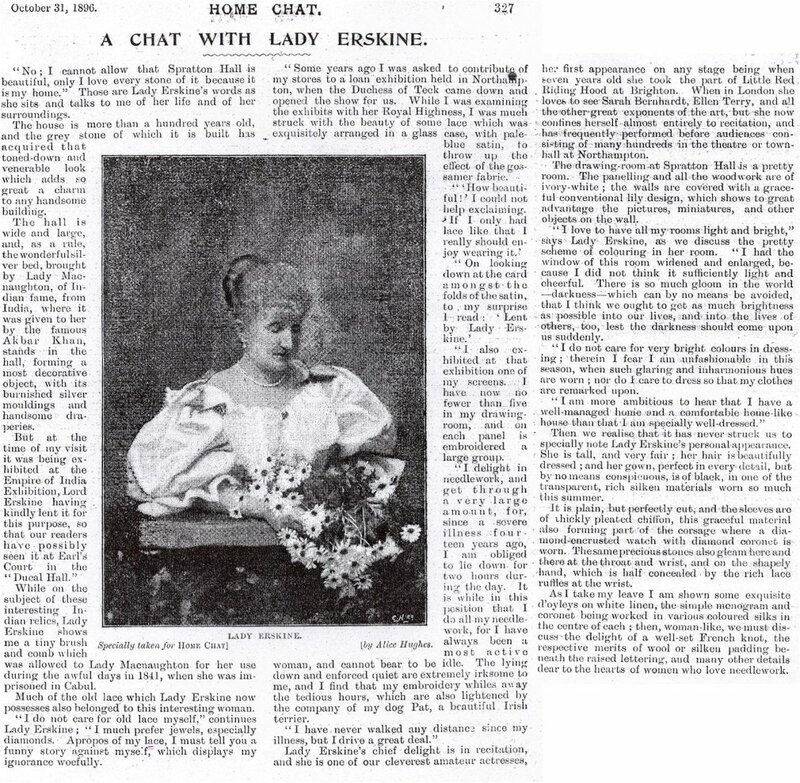 The bobbins show that the photograph was taken just before completion. 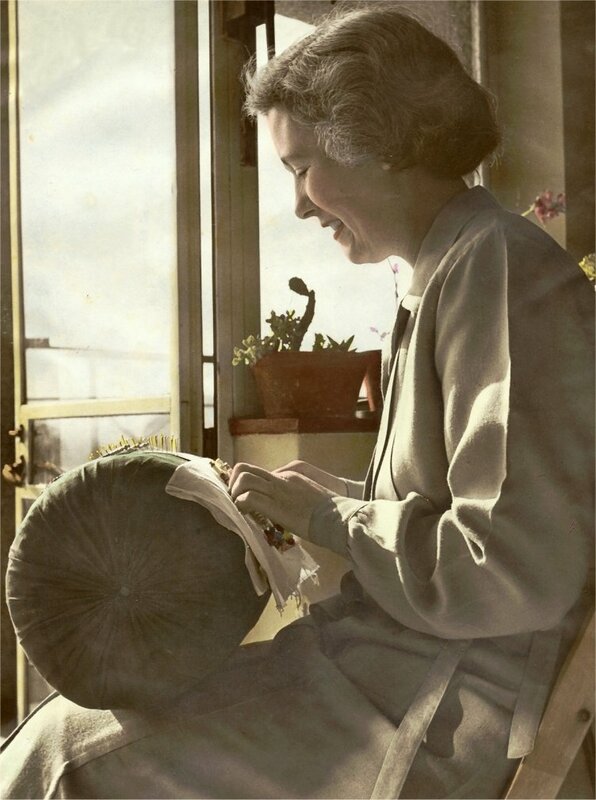 Joan Savage making lace 'at her pillow' before she moved to Spratton. She came to Northampton to study occupational therapy at St. Andrew's Hospital, where her interest in lace probably started.